DYNAMICS Scientific Production Center USA, Inc.
Andrey Kostyukov graduated from Omsk State University in 1996. In 2007, he got a PhD in Economics after presenting a dissertation on the subject of the Organizational and Economic Mechanism of Equipment Operation under Real-time Health Monitoring (in oil-refining). 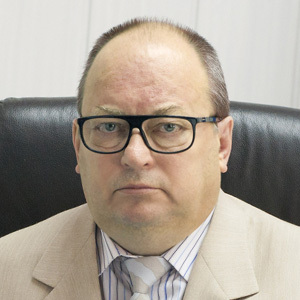 Since July 2015, Andrey V. Kostyukov has been holding a position of a Director General (CEO) and member of the Board of directors of DYNAMICS SPC. In 2016, according to a new developed world wide strategy, he established a subsidiary of DYNAMICS Scientific Production Center USA, Inc., a Texas corporation with headquarters in Houston, where he holds the position of President.